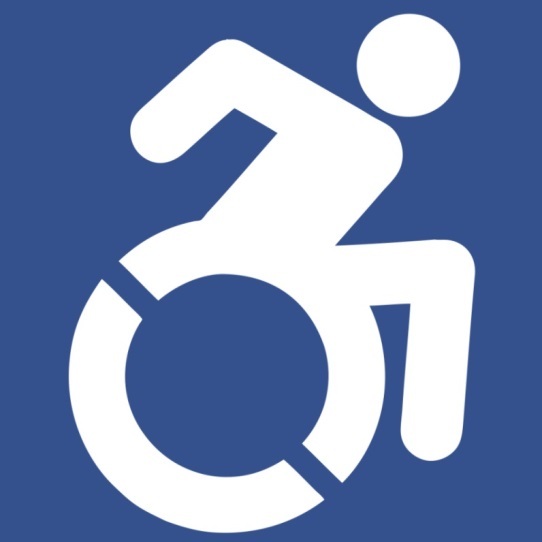 Today, the City of Mississauga officially began using the Dynamic Symbol of Access. The symbol, which improves on the International Symbol of Access by showing a person in a wheelchair in a forward motion, was painted at one of the designated accessible parking spaces at a City facility located at 950 Burnhamthorpe Rd. W. It emphasizes movement and how society views and interacts with people with disabilities. "I was pleased to bring forward this initiative to City Council late last year," said Mayor Bonnie Crombie. "As municipal leaders in accessibility, the City of Mississauga is committed to creating accessible and inclusive communities for everyone. Enhancing inclusivity and improving accessibility in our city allows everyone to participate fully in all we have to offer while also having a positive impact on our economy. This initiative is one of our many goals to continue removing barriers and creating awareness around accessibility." On February 21, 2018, City Council adopted the use of the Dynamic Symbol of Access at City facilities. The symbol is being advocated by The Forward Movement group to help further disability rights in Ontario. "The Accessibility Advisory Committee is thrilled to witness the implementation of the Dynamic Symbol of Access at the City," said Matt Mahoney, Councillor Ward 8 and Accessibility Advisory Committee member. "This is a great way to spur conversation around accessibility rights, and by working with community partners, we can continue our commitment to improve accessibility for all." Currently, provincial legislation limits where the Dynamic Symbol of Access can be used and defines where the International Symbol of Access should be used. Examples of where there is no legislation include pavement markings, service counters, bus stop signage, accessible seating and trail signage. "The City will be implementing the use of the Dynamic Symbol of Access on a go-forward basis at new City facilities on areas where signage is not legislated," added Raj Sheth, Director, Facilities and Property Management. "This will also include parking pavement markers at existing facilities." For more information about accessibility in Mississauga, visit mississauga.ca/accessibility.